Take a few photos of yourself from a few different angles. We encourage you to share after to help others that you know, but these are for your eyes! Most of us are too busy to make 3-4 perfect meals each day. Our supplements are “easy buttons” or “fast food” to make sure we’re getting the proper nutrients in the proper proportions at each meal. These supplements are what make the program do-able for most of us and give us the greatest chance of successfully reaching our goals. Which Arbonne Products Come In The Kit? 1. I won’t be able to commit for the 30 days. YOU can do anything for 30 days! While this program can seem a little overwhelming and intimidating in the beginning, I promise you that by the end of week 1 you will feel differently. This program gives you the tools and tracks to run on so that you see success right out of the gates. I love this one! At the end of the day you will either spend the money NOW or LATER. When you break down this program and everything that you are getting, the cost of the program comes out to be less then $5 per meal. If you priced out what you spend at the grocery store for 60 meals I can guarantee it would be more money! You also cant even go through a Starbucks drive through and get a COFFEE for $5! Most of my clients end up SAVING money doing this program because it is covering 60 meals for you in 30 days. If you dont have your HEALTH you have nothing so make the investment NOW or you will have to PAY later. 3. The results seem too good to be true. Will I gain all of the weight back after the 30 days? GREAT QUESTION. The answer to this is NO. As long as you dont go back to eating the way that you did before. This program is meant to reset your metabolism, eliminate the toxicity in your body and help you to have a healthy relationship with food. It is 100% an eye opening experience and most people 100% keep off the weight by following our 80/20 maintenance guide! We walk you through EVERYTHING! You not only will get me as your coach but also access to our accountability Facebook group that is growing by the day with people looking for a change. 4. What if I am unhappy with the program? 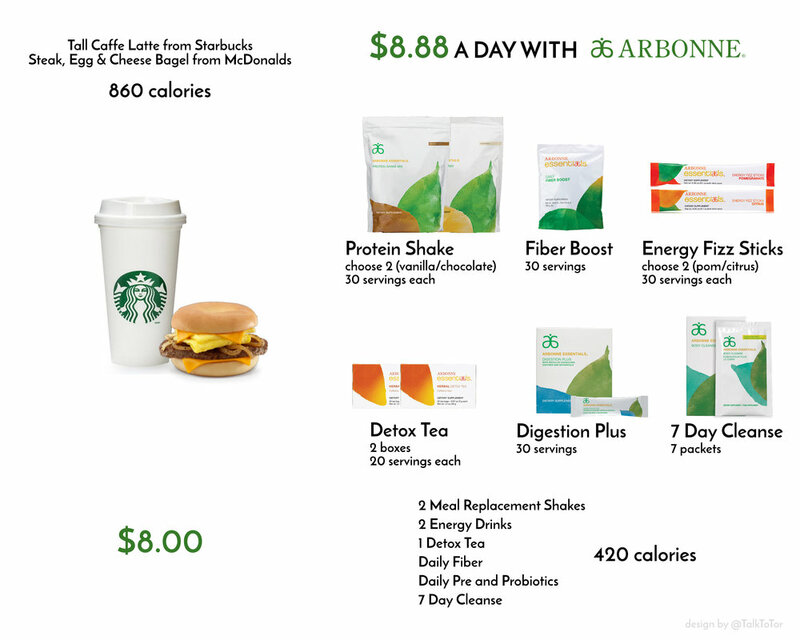 Lucky for you, Arbonne believes so much in this program and their products that there is a 45 day money back guarantee on everything. You truly have NOTHING to loose and everything to gain so what is stopping you? This program is set up to ignite a fire in you and to get you started on your health journey! We can't guarantee your results but we can guarantee your satisfaction. If you aren't happy with the program or the products you can get a 100% money back guarantee within 45 days of purchase. We only have one life and one body so we should take care of it! Please feel free to reach out to me with any questions you may still have! I look forward to partnering with you on this next journey! WANT TO JOIN THE 30 DAYS TO HEALTHY LIVING FACEBOOK GROUP?